CSEE recognizes Canadian ecologists and evolutionary biologists with awards at all career levels. The Canadian Society for Ecology & Evolution (CSEE) invites Ph.D. candidates who are at an advanced stage of their dissertation (typically the final two years) to apply for the Diversity & Excellence in Doctoral Research Award. Award winners will receive $500 and will have an opportunity to present their doctoral research in our Graduate Student Award Symposium at the annual CSEE meeting, which will take place from August 18th – 21st 2019 in beautiful downtown Fredericton, New Brunswick, Canada. The deadline to apply is May 1st, 2019. Results will be announced at least two weeks before the closing of the ‘early bird’ registration period. This award aims to showcase excellent student research from within the society. Successful applicants will have conducted high-quality research that addresses fundamental questions or is of an applied nature in the fields of ecology and/or evolution. In addition to demonstrated scholarship and merit, the selection committee aims to promote diversity in science (see the CSEE Diversity & Inclusivity Statement here), and to balance field of study and institutional representation. All eligible PhD students are encouraged to apply (see Eligibility). Applicants must have been (i) registered in a Ph.D. program within the year of application (2019) and (ii) a member of CSEE at the time of application. There is no citizenship or residence requirement. Applicants should have advanced to candidacy but should not have completed their degree requirements as of December 31st, 2018 (these individuals are encouraged to apply for the CSEE Early Career Award). Successful applicants are expected to attend the CSEE meeting in Fredericton in July and to present their work as part of the CSEE Graduate Student Awards Symposium (exceptions will be considered on an individual basis). Applicants from last year who were not selected for the award but still meet the eligibility criteria are encouraged to re-apply. Thesis Summary (300 words maximum): A summary of your thesis (i.e., thesis abstract). You may use subheadings for different thesis chapters if desired. The applicant should make it clear how their research advances the state of knowledge in their field. Other Relevant Activities (250 words maximum): In this section describe any professional and extracurricular activities that demonstrate your communication and leadership skills. Select Awards and Contributions (1 page maximum): Using three headings, highlight (i) awards that you have received, (ii) talks or posters that you have given and (iii) papers you have published. Do not include papers that are in preparation, submitted, or being revised for a journal (including preprints)—only include manuscripts that are published or have been given final acceptance and are ‘in press’. If in press, provide the manuscript number. The applicant must remove their name from all publications and replace it with “Applicant”, in bold. Letter of support (1 page maximum) from your PhD advisor or a committee member. Letters should speak to the criteria listed above and should clearly state that the applicant is close to completion of their thesis. Letters must not contain the name of the applicant but rather non-identifying terms such as “The Applicant”, or similar. For example, “The applicant has been a member of my lab…”. Sections 1 through 3 should be submitted as a single pdf file with the filename “<lastname_firstinitial>_CSEE_PhDaward.pdf” to cseestudent@gmail.com (e.g., Smith_J_CSEE_PhDaward.pdf). The letter of support should be submitted directly from the referee to the same email address and should have the same format as the application with “_Letter” added to the end (e.g., Smith_J_CSEE_PhDAward_Letter.pdf). All materials are due by the deadline indicated above. We will respond to each email to confirm receipt within one week. The name (first or last) of the applicant must not appear anywhere within the application other than the file names. This anonymization is meant to reduce bias during the evaluation process. Failure to properly anonymize applications could result in disqualification. Successful applicants will give a 30-minute talk (23 minute talk and 7-minute question period and transition) in the Graduate Student Award Symposium and will not be able to give a separate talk during the conference. Awardees can present a poster if space is available. Successful applicants must respond to accept the award and confirm their registration within one week of notification. 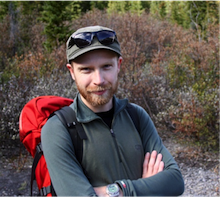 Award Description: The CSEE Early Career Awards recognize outstanding accomplishments and promising future research potential in ecology and evolution by scientists early in their career. Awards will be given to two candidates each year. They consist of a 10-year membership to CSEE/SCEE, $500 cash award, up to $1000 allowance for travel and accommodation to attend the CSEE meeting in Guelph, ON, in July 2018, and an invitation to give a keynote lecture at the annual meeting. Application/Nomination Procedures: Candidates may apply directly or may be nominated. Established researchers are encouraged to nominate outstanding young scientists. Nominations must contain all of the following supporting materials in the stated order: (1) a curriculum vitae, (2) a summary of research accomplishments (maximum 2 pages), (3) a 2-page statement of research plans for the next 5 years, (4) three recent publications, (5) names and addresses of 3 referees (including the nominating scientist where applicable) who will provide supporting letters. The 3 letters of reference should be sent separately from the candidate’s nomination package. All nomination materials and reference letters must be sent as PDFs to the chair of the CSEE Awards committee, Mark Vellend (mark.vellend@usherbrooke.ca). Time lines: The deadline for receipt of all materials including letters of reference is 26 January 2018. The recipients will be notified of the award in early March and they will receive their award at the following annual meeting. The CSEE Early Career Awards recognize outstanding accomplishments and promising future research potential in ecology and evolution by scientists early in their careers. We are delighted to announce that the recipients for the 2017 awards are Dr. Emily Darling, from the University of Toronto and the Wildlife Conservation Society, and Dr. Sean Anderson, from the University of Washington. We look forward to hearing their plenary talks at the CSEE meeting in Victoria. Congratulations to both recipients, and hats off to all candidates for the very high calibre of their submissions. Emily is a community ecologist and conservation biologist who is motivated to understand how human activities are altering coastal and marine ecosystems. Her research focuses on three interrelated themes: quantifying interactions between multiple stressors and the prevalence of ecological synergies, coral life histories and trajectories of community change on coral reefs, and managing marine ecosystems for resilience to climate change. Her work integrates multiple approaches, ranging from literature reviews, meta-analyses, and statistical analyses of long-term monitoring data, to quantitative field experiments and socio-economic surveys to understand the complex ecological dynamics of coastal systems. 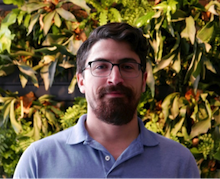 Sean is a quantitative population biologist who links theory with data through statistical and simulation models to improve predictions about ecological systems and inform management and policy decisions. In particular, he is interested in how we can estimate population status with limited data and in the role of variance, risk, and extreme events in population dynamics. Because these problems are complex, a large part of his research involves method and software development and is often highly collaborative. His work spans across taxa (e.g. birds, moths, grizzly bears, sea cucumbers, salmon), ecosystems (marine, freshwater, terrestrial), methods (empirical, simulation, theoretical), spatial scale (regional, national, global), and time periods (modern, historical, paleontological). Award Description: The CSEE Early Career Awards recognize outstanding accomplishments and promising future research potential in ecology and evolution by scientists early in their career. Awards will be given to two candidates each year. They consist of a 10-year membership to CSEE/SCEE, $500 cash award, up to $1000 allowance for travel and accommodation to attend the CSEE meeting in Victoria, B.C., and an invitation to give a keynote lecture at the annual meeting. Time lines: The deadline for receipt of all materials including letters of reference is 13 January 2017. The recipients will be notified of the award in February and they will receive their award at the following annual meeting.